Il Museo Universitario di Chieti, pur avendo una storia recente, conserva un ricco patrimonio formato da una raccolta di oltre 19.000 record in continua evoluzione. Nato con una vocazione biomedica e una collezione concessa in prestito temporaneo illimitato dalla Soprintendenza Archeologica dell’Abruzzo, dal 2006 ha scelto di accogliere le richieste provenienti dal territorio e di ampliare l’offerta museale. Il museo è così diventato il referente naturale sia delle istituzioni formative del territorio, che chiedevano una collaborazione non solo per la didattica ma anche per la conservazione del patrimonio tecnico-scientifico storico, sia dei collezionisti privati desiderosi di rendere fruibile alla collettività l’attività di raccolta di una vita. Il presente lavoro analizza come nel corso di vent’anni - tramite convenzioni, prestiti temporanei illimitati, donazioni e lasciti - sia nata una nuova collezione universitaria che abbraccia diverse branche del sapere. Se ne evince anche come l’ampliarsi delle sue collezioni abbia determinato modifiche nella mission e abbia contribuito a indirizzare sempre più la sua vocazione verso la Terza Missione d’ateneo. musei universitari, museologia, storia del collezionismo, Terza Missione. 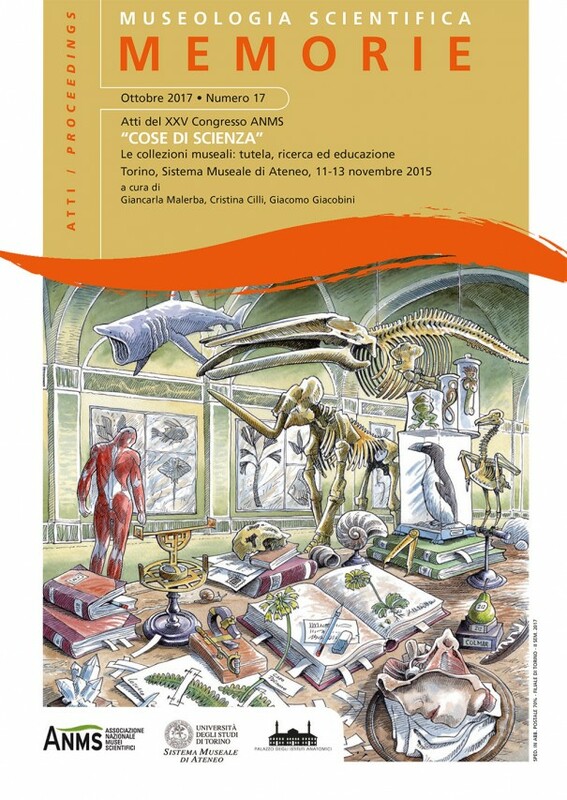 The university collection of Chieti: from biomedical collection to cultural memory of the territory. Despite its recent history, The University Museum of Chieti retains a rich and constantly evolving heritage, consisting of a collection of over 19,000 records. The Museum was born originally with a biomedical vocation thanks to a collection granted by the Archaeological Superintendence of Abruzzo as an unlimited temporary loan. However, since 2006 the Museum has chosen to expand its offer to fulfill the requests coming from the territory. The Museum has thus become the natural point of reference, on the one hand, for the local educational institutions, which asked for cooperation not only for teaching purposes, but also to preserve their technical and scientific heritage; on the other hand, for private collectors eager to give the community access to the collection of a lifetime. This paper analyzes how, in the last twenty years, a new university collection has been created through conventions, unlimited temporary loans, donations and bequests. The collection now encompasses different branches of knowledge. This work also demonstrates how the widening of its collections has led to relevant changes in the Museum's mission and has contributed to direct increasingly its vocation towards the Third Mission of universities. university museums, museology, history of collecting, third mission. Da qualche anno, l’Università di Palermo persegue l’obiettivo di rendere più fruibili i beni artistici e architettonici che possiede. Allo stesso tempo ha iniziato anche un percorso per inserire nello stesso obiettivo anche i musei scientifici e diverse altre collezioni. Per questo scopo, tra le tante soluzioni a disposizione, ha fatto anche ricorso alla tecnologia e ai nuovi strumenti oggi disponibili che consentono visite e consultazioni virtuali. assistente virtuale, proximity visiting, visita virtuale. Cultural and educational value in the network of Scientific Collections of the University of Palermo: communication and modern technologies. Since 2011, the University of Palermo aims to make more accessible the artistic and architectural its heritage. At the same time he also started a process to insert the same goal also in its science museums and other collections. Among many solutions for these purposes, also he has started a work to technology and new tools available today that allow us virtual visits and consultations. virtual assistant, proximity visiting, virtual tour.